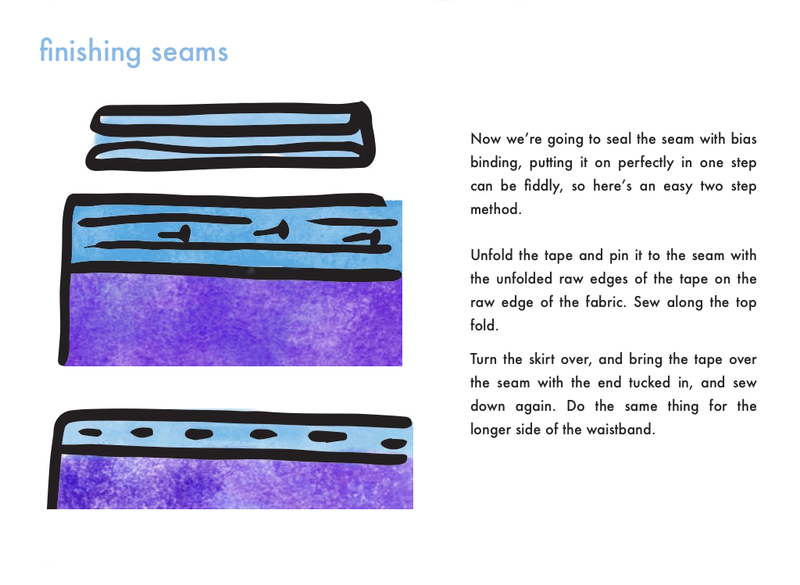 I wanted to learn how to make things for ipads, so I’ve rejigged an old zine of mine with improved instructions and colour diagrams. It has step by step instructions and diagrams for drafting a skirt pattern to your own personal size, whatever that may be, and then making the skirt. For anyone really who would like to have skirts, but struggles to find any they like or that fit, and who would like some help with sewing. The instructions are distributed as Non-derivative creative commons, so are free to download, and may be distributed freely as long as you don’t charge for them or alter them, but derivative works or profit-making are not allowed. Here is the ibooks version, which auto-rotates to have different landscape and portrait layouts, and is set up to work with the ipad’s accessibility settings. Here is the pdf version, for printing and using on other devices.